The core components found in today’s media presentation systems indicate that the AV industry is well on its way down a path where most if not all audio and video signals will be transported across IP networks. This emerging reality is largely due to the fact that today’s networks are capable of delivering reliable, high-quality audio and video distribution with less bandwidth and less headaches. 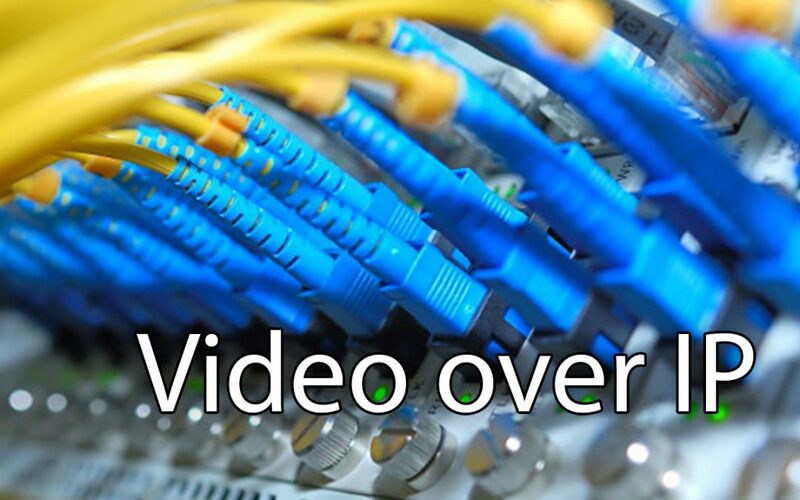 Although audio over IP has been in use for a while and has led the way, it is only lately that the bandwidth consuming video has begun to catch up. The technology to stream video over IP has been around for many years, primarily in video conferencing and secondary streaming applications, but it has never been considered as a means to deliver the every day must-have signals that the presentation system relies on. The reservations to using this method have been the amount of bandwidth these signals require, the reliance of a shared network for the guaranteed delivery of video , and the security fears of having video on the network. It has only been in the past few years that great strides have been made to the point that network technologies have become reliable and safe enough to use as a main delivery method for these must-have signals. Much like email, companies will begin to rely heavily on these services in the near future. With the introduction of any new technology, however, there will still be initial resistance by the network administrators who want to avoid the pain of having their critical systems go down as a result. Downtime is expensive and uptime is harder to achieve as networks carry additional loads with increased sensitivity to quality of service. VLAN technologies along with continued improvements toward bandwidth and speed should help to alleviate these fears. Having said all of this, Video over IP, not to be confused with Voice over IP, is becoming more acceptable within the industry and more manufacturers are offering solutions to compete with pioneers in the field such as SVSi, now part of AMX / Harman. Biamp, Atlona, Aurora, Matrox and others now offer reliable video solutions over the network.